This week’s roundup includes tips to grow your business with Email Marketing, increase traffic to your site from Social Media, and how to maintain the Online Reputation of your business. Learn how to optimize your Content for featured snippets, and improve the Design of your Website. We’ve covered all of this news and, much more, below! This week’s Agency Framework discusses conferences and networking in the digital age. Hope Horner shares 9 tips for making the best video for Social Media. 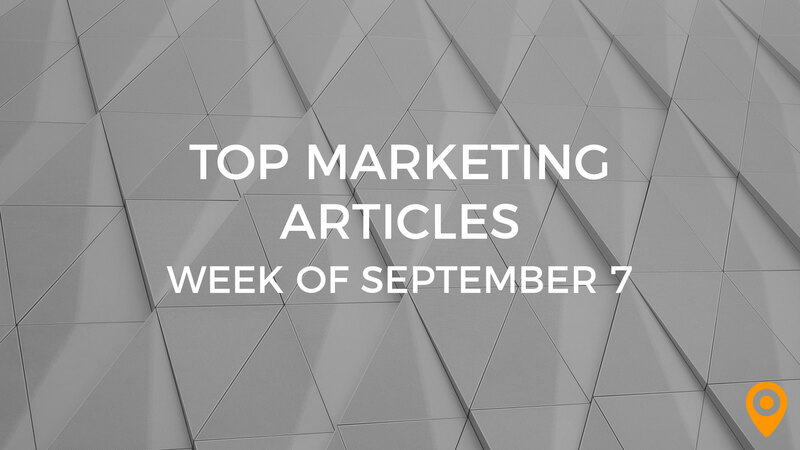 Get inspired by the top Legal Marketing industry influencers. Manjunath Thandu goes over the factors that businesses should consider before investing in software. Plan a trip to attend one of these top Real Estate Marketing conferences for the 2018-2019 season. Learn how to optimize your Content for featured snippets, from Stephan Spencer’s blog. Anna Pusack provides actionable tips to maximize the appeal and efficiency of your Content. Amarpreet Singh’s blog offers guidance to help marketers achieve impressive results using Content Marketing strategies. Jen Saunders offers guidance to increase the Conversions of your website, by optimizing SEO meta descriptions. Deepak Chauhan emphasizes the need to keep your checkout page simple, include trust elements and use social proof, for improving your Conversion Optimization efforts. Rajesh Rawat discusses how tactics such as promoting videos, writing blogs and using focused landing pages, can improve the Conversion rate of your website. Peter Ellington offers useful tips to grow your business with Email Marketing. Kevin George highlights the significance of an Email Marketing calendar in planning your strategy. Mario Gzz offers tips to help marketers improve the open rates and clickthrough rates of their Email Marketing campaigns. Follow the tips from Chris Kirksey for taking your Local SEO efforts to a new high. Chris Sharkey offers guidance to help marketers leverage Google My Business for the benefit of their Local businesses. Learn how to create an effective SEO strategy for your Local business website, from Amit Raj’s blog. Keith Hearn discusses how Mobile first indexing can impact the performance of your SEO campaigns. Katherine Husmith emphasizes the need for creating a neutral Wikipedia article and apologizing when necessary, to maintain your business’ Online Reputation. John Ball highlights the best practices of website navigation to improve the performance of your SEO campaigns. Shannon Dunn offers guidance to create an effective internal linking strategy that is imperative from the standpoint of user experience and SEO. Ashish Sharma discusses how strategies such as using long tail keywords and allowing incoming links, can increase the Organic traffic of your website. Amy Post offers tips to improve the performance of your B2B Social Media campaigns. Jeannie Hill discusses how the synergy of Social Media and SEO strategies, can improve search rankings and user engagement of your website. James Gurd highlights the significance of having a coherent Social Media strategy for your business. Learn how infographics, attractive images and Social Media buttons can increase Social Media traffic to your website, from Raveen Paswan’s blog. Isha Singh draws special attention to Social Media strategies that can make your brand popular and increase ROI. Sean McGowan highlights the less known sources that can help marketers to draw inspiration for UX Design. Learn how strategies such as including social share buttons, using proper images and implementing calls to action can improve the Design of your Website, from Michael’s blog.